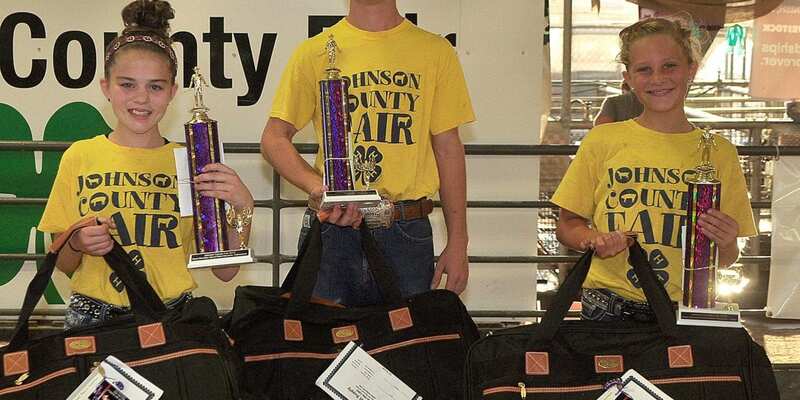 The following Johnson County K-State Research and Extension 4-H youth won their divisions in the Round Robin Showmanship competition at the 2018 Johnson County Fair, held August 3 in Gardner, Kan. Round Robin showcases the best of the best. To qualify for the Friday evening competition, 4-Hers needed to win their age division in one of the livestock species shows held during the fair. Round Robin consists of demonstrating showmanship capability with cattle, swine, sheep and goats.